The Tornado Taskforce External was designed for industrial users looking to recover dry wall dust, sawdust and cement dust, water and powders (fine and ultra fine). No need to stop and change filters. The Taskforce can recover wet and dry debris simultaneously. 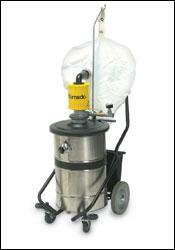 Featuring a 16-gallon T-Lite® thermo-plastic tank and a detachable 2.25 h.p. (184 c.f.m.) 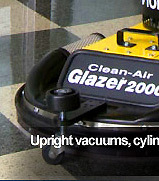 powerhead with large poly external filter, you can vacuum wet, dry, light, and heavy debris simultaneously. The units ride easily on a Tip & Pour Carrier and include an onboard Tool Caddy. Add our 90660 attachment set which includes a hose, double curved wand, squeegee, fiber and round nozzle tools to complete the package.